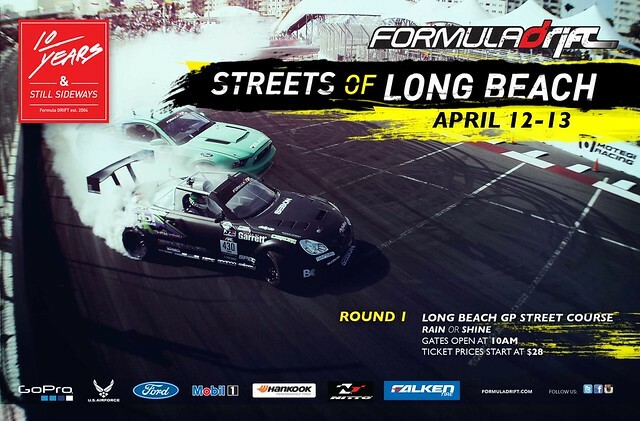 SPECIAL OFFER: FORMULA DRIFT TICKET DISCOUNT! Formula DRIFT is recognized as North American’s professional drifting championship series. As the first official series in North America, Formula DRIFT has taken competitive motorsports to the extreme, attracting fans and car enthusiasts from all walks of life and establishes itself as the worldwide leader for the Sport. This high-skilled, high-powered motor sport where drivers intentionally maneuver their cars into well executed, controlled sideways slides at high speeds through a marked course, has professional drivers & teams competing in championship competitions. Judged on execution and style, rather than who finishes the course in the fastest time, Drifting is a guaranteed crowd pleaser. BUY YOUR TICKETS NOW!